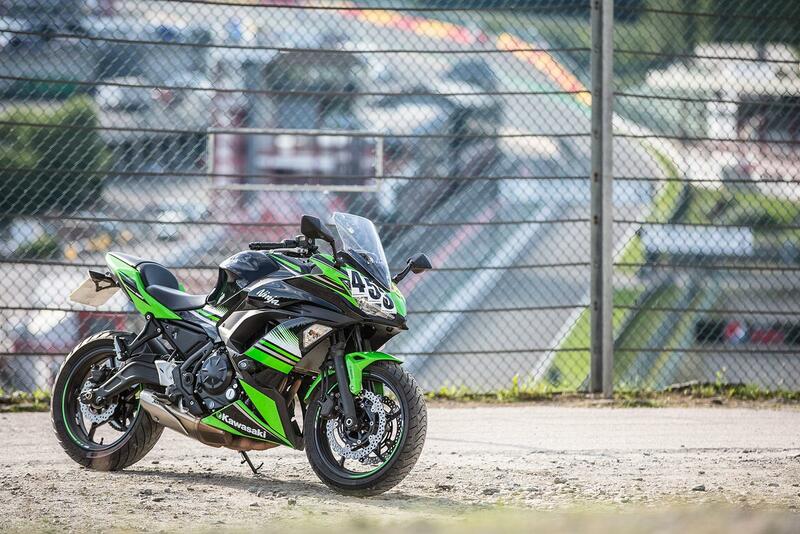 ﻿ MCN Fleet: Can you take the Ninja 650 on track? 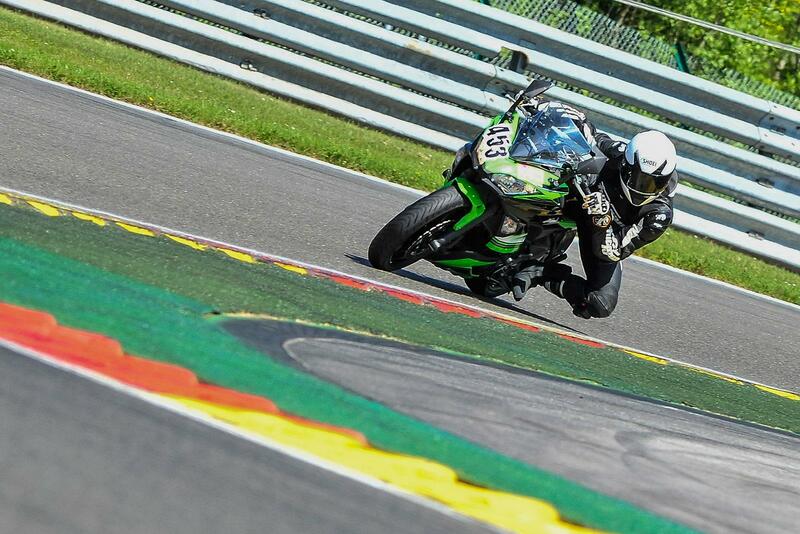 Spa is one of the fastest circuits in the world, add in the fact that I’ve not done too much riding on track and I was realistic in my expectations of what both myself and the Ninja would be able to do there. It’s fair to say that I was taking the bike way beyond its intended everyday use. 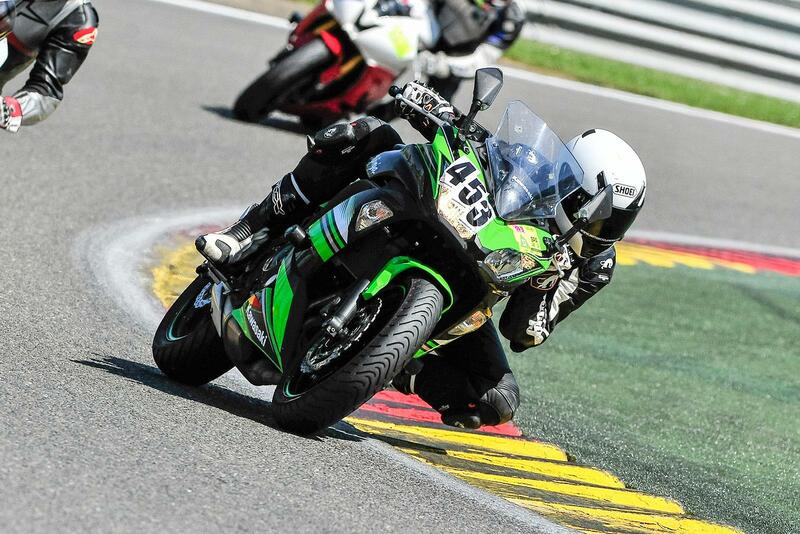 On arrival to Spa, I found that the Ninja was easily the lowest powered modern bike there by some margin. The closest comparable machines were a few 600cc sports bikes, with most having at least a good 40bhp more than the modest 67 horses that the 650 brought to the table. I was there simply to discover more about my riding, learn more about the Ninja and most importantly, enjoy myself. I already knew the suspension limitations were going to prove mostly inadequate, and that the low power was going to see me blitzed on the long Kemmel Straight, but that wasn’t going to stop me having fun. Turns out that it’s next to impossible to get at without removing. Something I hadn’t quite anticipated as I sat outside the hotel the night before trying to set the bike up for the track. A new suspension unit was already on the list of modifications I wanted to make to the bike, but is now creeping up higher on my list of priorities. How did the Ninja do? The Metzeler Roadtec 01’s performed a lot better than I thought they would too. These aren’t a track tyre by any means and on a more powerful bike they probably wouldn’t have lasted long at all. On the Ninja they surprised me though, there’s still plenty of life in them yet and they offered a good amount of feel when I was wobbling around the circuit. The brakes didn’t inspire as much confidence as the tyres though and after two laps were starting to fade really badly. I’m going to try a new set of pads though to see what difference they make next time and I think it’s fair to point out that they weren’t intended for this kind of use at all. The small and light weight of the Ninja makes it really easy to feed through the corners and despite the suspension, it still feels surprisingly agile and let me carry a fair bit of speed through the turns. The pegs were an area I was surprised with. The rubber tops made for a vague feeling from the bike. I found them especially slippery when I was leaning off the Ninja, with my feet never feeling truly secure on them. I can imagine that Kawasaki have used this rubber to reduce vibrations from the twin, improving comfort on longer journeys. They weren’t ideal for Spa though. The R&G paddock bobbins (£20.50) also threw up a surprise too, and coming in from my second session I looked down to find that the right one had melted! Turns out that the exhaust gasses flow directly over it and the heat caused the right cotton reel to melt, something to be mindful of in future. Overall though and despite a couple of niggles, the Ninja performed admirably. It carries its corner speed well, was flattering to my inexperience with circuit riding and has inspired loads of confidence. 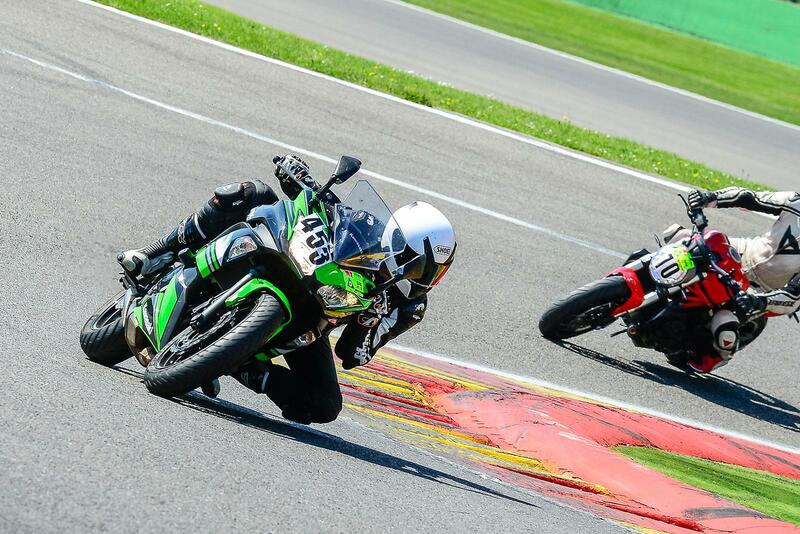 Sure, I might have been in the Novice group, but catching guys riding on bikes such as BMWs ballistic S1000RR or Ducati’s 1299 Panigale through the corners on the fastest circuit in the world on the humble 650 leaves me with a happiness and satisfaction that’s hard to match. I think that this feeling translates well across to how I use it on the road too, whenever I ride it I feel like I’m getting so much more from the bike and ride it well within my own capabilities. There’s something to be said for riding a machine such as the Ninja a lot closer to its limit than say a 190+bhp sportsbike. It makes me feel like I’m getting so much more from both my riding and the motorcycle most of the time I’m using it. My aim over the summer now will be to dress the bike with a few new parts; namely an aftermarket exhaust, new suspension and try some more tyres. A power commander and some new pegs or rearsets and some brake pads will also be on the cards. I’ll also get it put on a dyno so that I can measure what I’m doing with the exhaust and anything I do regarding the fuelling.  Then hopefully at the end of summer I will have a good picture what I think works well regarding how I use the bike. Sure, the Ninja has a couple of improvement areas, but I don’t really view these as a determent to the bike overall. I see it as more of a blank canvas and think that the £6.5k price justifies factoring in a few additional parts and accessories that will complement the way I’m riding it and what I want to do on it.